Current Fed policy will push the US economy to the brink of recession, possibly by later this year. When that happens, the Fed will have to reverse course and ease monetary policy. Meanwhile, economists recite recent GDP figures and the stimulative effects of the Trump tax cuts. But we’ve seen the happy talk about 3-4% growth before. Strong quarters have been followed by much weaker quarters within 6 months on 6 separate occasions in the past 9 years. There’s no reason to believe this time will be any different. This expansion has been extraordinarily long (over 30% longer than average) indicating that a recession should be expected sooner rather than later. 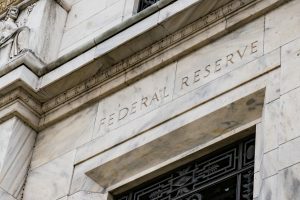 Enter the Federal Reserve, which is tightening monetary policy, reducing the base money supply and supporting a strong dollar. All of these policies are associated with slower growth ahead and a high probability of recession. But now we’re in a new reality, the result of 9 years of unconventional monetary policy. This has never happened before, and that is key. The Fed should have raised rates in 2009, 2010 and 2011. Economic growth wasn’t strong, but it was in the early stage of a growth cycle. If rates had been raised, it wouldn’t have been the end of the world. We’d just had a crash. But by the end of 2009, the panic was basically over. There was no liquidity crisis. There was plenty of money in the system. There was no shortage of money and interest rates were zero. They could have tried an initial 25-point rise but didn’t. Now we’re at a very delicate point, because the Fed missed the opportunity to raise rates years ago. They’re trying to play catch-up. But if a recession arrives in a few months, how is the Fed going to cut rates 3% if they’re only around 2%? They can’t.